Welcome to Plaish Park Farm. 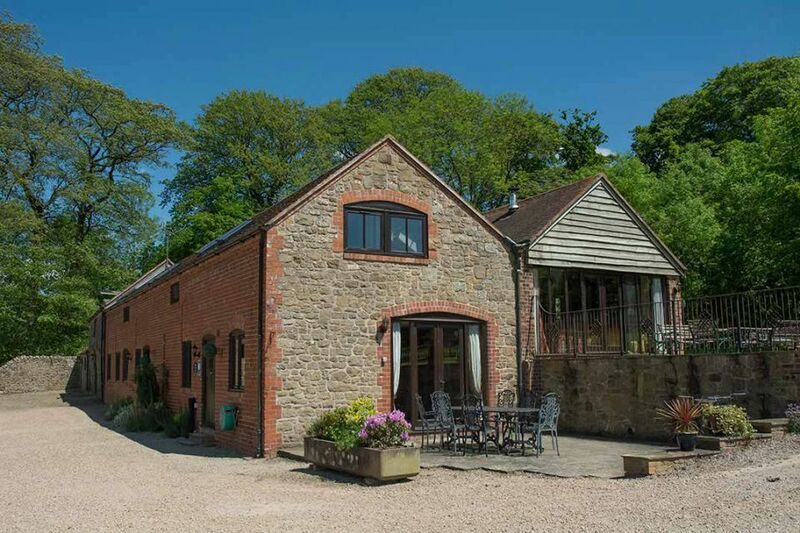 We offer five beautiful self catering cottages set in the wonderful Shropshire countryside, near to Church Stretton and Much Wenlock. 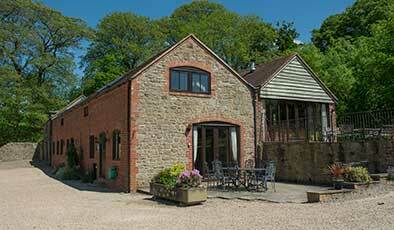 The hamlet of Plaish is in an area of outstanding natural beauty, centred around a 12th-century hall. 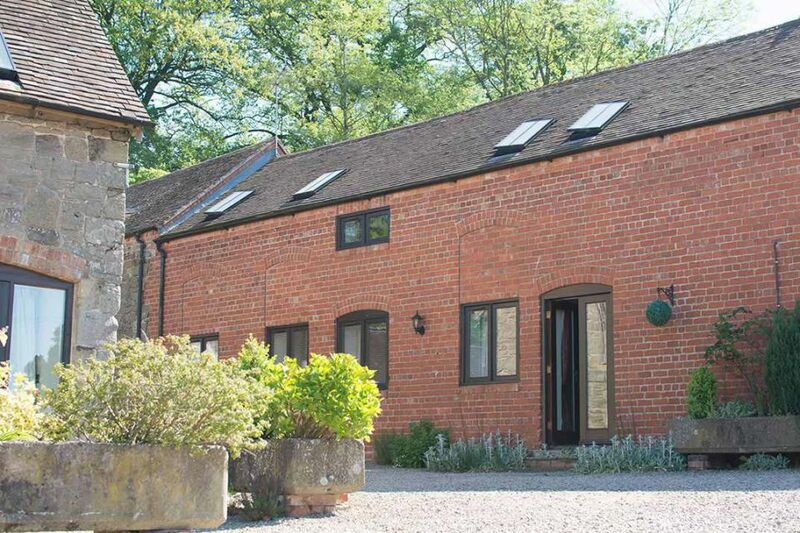 The cottages are an integral part of the fourth generation sheep and arable family farm. 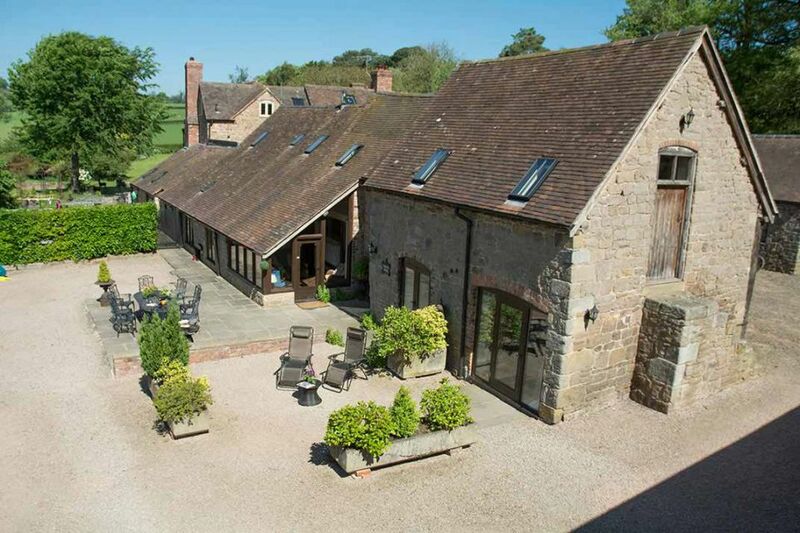 The spot is ideally located with miles of unspoilt countryside walks, bike rides, and hills in every direction. 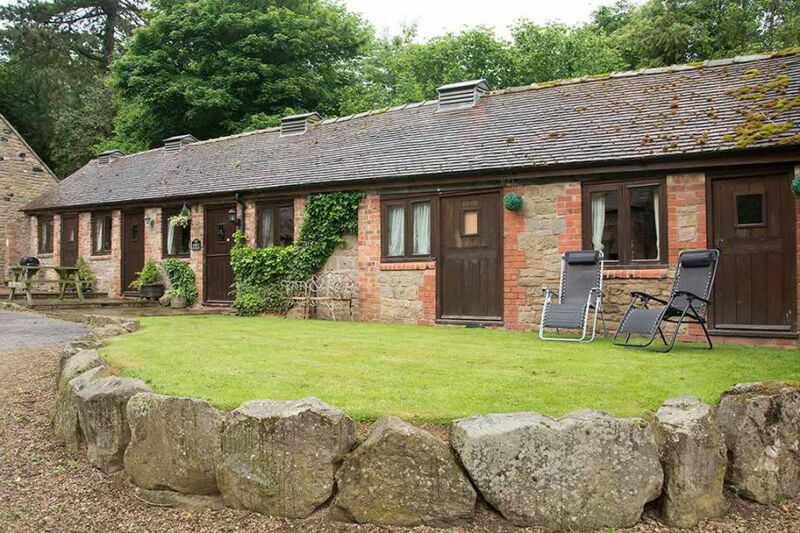 The farm has a scenic 2-mile walk from the door which wanders through woodlands and around natural lakes with an abundance of wildlife including swans. We welcome guests to get involved with farm life where possible whether it is collecting eggs from the chickens, feeding the pigs or ponies or feeding the lambs at lambing time. 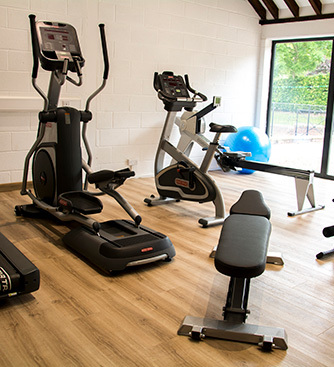 There is lots to do onsite with the full sized tennis court, and football/basket ball nets with equipment, pedal go karts, children's play area or the 2 indoor games rooms with pool table/table tennis and table football. This is all included free in your stay so you can relax and enjoy the surroundings. 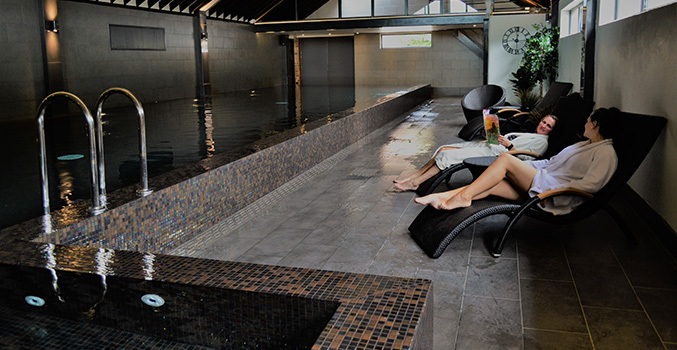 A recent addition is the onsite spa / gym which is available for private hire during you stay. 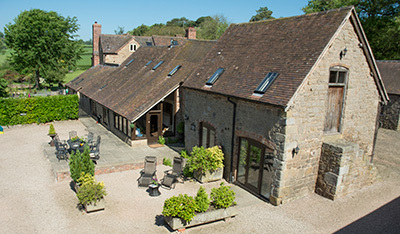 Plaish is ideally situated for sightseeing and walking amidst the beautiful Shropshire Hills, yet this tranquil setting is still central to all of Shropshire’s many attractions including Acton Scott Historic Working Farm, Severn Valley Steam Railway, Stokesay Castle and Ludlow Castle, Ironbridge Gorge with its 10 museums, RAF Cosford, West Midland Safari Park, Drayton Manor, the British Ironworks Centre and numerous National Trust properties. 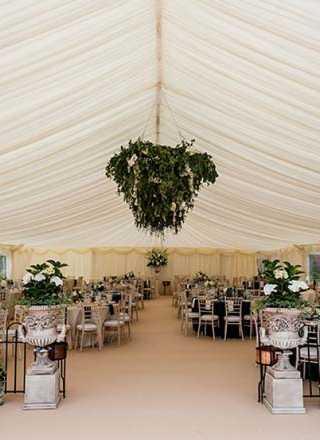 In addition, there is a very good local pub 'The Royal Oak, Cardington' serving excellent food within 1 ¾ miles of the accommodation or catering can be provided by prior arrangement. We are extremely excited to announce a new addition to Plaish Park farm. 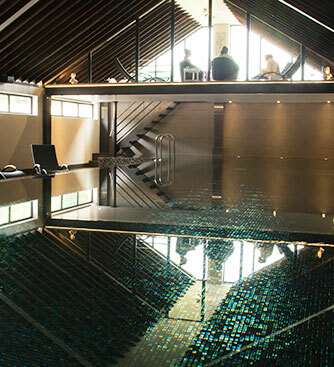 We now have onsite a very bespoke luxury indoor 20 metre infinity swimming pool and spa. The pool is 1.2 metres deep and has a relaxing bubble seating area with pool side showers and cold water plunge bucket. Also an amazing relaxation messine which overlooks the beautiful surrounding countryside and hills, a perfect way to relax. There is also a fully equipped gym and changing rooms with showers and WC. Towels are provided and Spotify music and WiFi available to really enhance your experience. This is all available to book on your arrival for 2-hour block sessions from 11-1pm or 3-5pm daily at £10.00 per head per session (no under 4's for safety reasons). For swimming / gym enthusiasts there is an individual non-transferable membership for the weekend or week that allows greater daily access. Plaish is just a few miles from the town of Church Stretton, a picturesque setting in a narrow valley through the South Shropshire hills earned it the name of "Little Switzerland" when the Victorians tried to establish it as a spa - The town is a perfect base for exploring the Shropshire Hills. 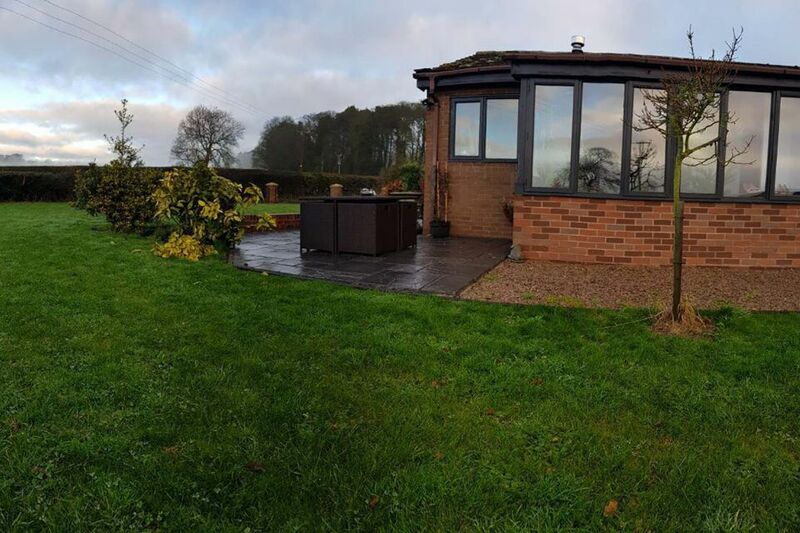 From the town centre, Burway Road climbs steeply over the Long Mynd's 500 acres of heather covered moorland, giving panoramic views of the town. The National Trust visitor centre in nearby Carding Mill Valley provides car parking and good access for walkers. The spectacular ruins of Wenlock Priory (English Heritage) are located a short walk from Much Wenlock square. The beautiful "black & white" town of Much Wenlock has much to offer throughout the year including shops, restaurants & pubs with great food. It was also the home of Dr William Penny Brookes, one of the most influential pioneers of the modern day Olympic Games and you will find many Olympian related artefacts in the local museum and around the town. 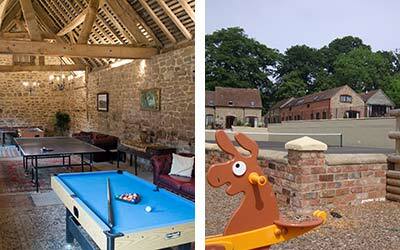 Plaish Park Farm offers 5 unique barn conversions rated 5 ticks by trip adviser sleeping up to 38 people. With also the recent addition of Plaish Retreat, a charactered bungalow available for limited dates sleeping an additional 6. All the properties are converted to a high standard, with a mix of old-world charm alongside modern amenities. 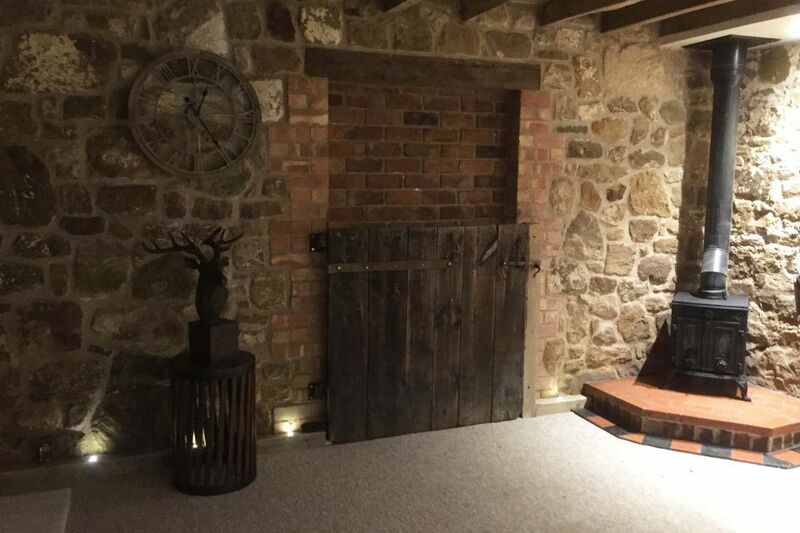 A wealth of character is retained by original beams throughout, log burners and panoramic views. 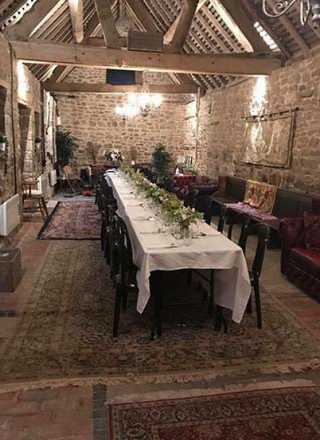 Ideal for family gatherings, celebrations or bespoke weddings with onsite party barn hire available and local caterers.